Learning how to water indoor plants starts with determining your plant’s watering needs. Indoor plants have different watering needs from those plants grown outside. Therefore, watering the indoor plants requires knowing the specific needs of your plant. It also requires watering them frequently and on schedule. Furthermore, it is important that you plant them in containers that drain well and are appropriate for their size. Healthy plants will also require getting the right amount and type of water, although there are ways on how you can prevent overwatering the plants. Here are the steps on how to water indoor plants without making a mess. Not all houseplants have the same watering needs. Therefore, you need to educate yourself on the kind of plant that you are trying to grow. Never assume that all plants want one quart of water. All of your indoor plants have different watering needs so you need to determine this. There are some plants that would prefer a fairly dry soil. On the other hand, some plants would thrive only on moist soil. Others also want that the soil will dry out in between watering. 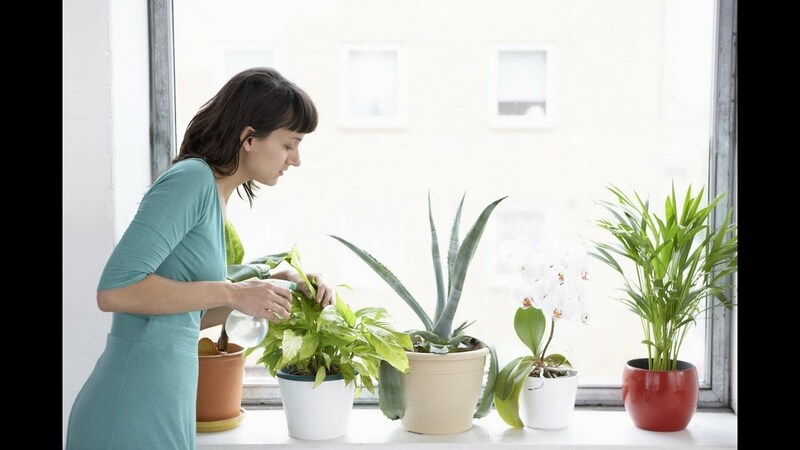 Watering indoor plants is easier if you set a routine. However, some plants may not be able to thrive when treated this way. So instead of watering after every two days, try to get a feel of how often your plant will need water. Consistently check the soil and determine how often it dries out and water the plant based on your observations. Indoor plants tend to have more dormant stage during the winter. Therefore, it is likely that they should not be watered as often during this season. As for the time of the day, morning tends to be a perfect time. This allows the plant enough time to dry out before the cooler temperature will come in the evening. Stick your fingers in the soil of the plant. Notice if the soil is already moist enough. If your finger cannot get into the soil since it’s dry, then it’s time to water. On the other hand, if the top inch is fairly moist, then it has enough water. When you reach an inch deep and your finger is dry, then the plant will need some watering. Again, this however will not apply for all plants. But most of the time, if the topsoil is dry, the plant needs water. You can also make use of a device called moisture meter. It will tell you if the plant requires water. You can purchase this device from any store that sells indoor plant watering devices. Leaves are a good indication if your plant is under watered or overwatered. If the leaves seems to be hanging in a limp, then this means the plant needs more water. Moreover, if the leaves are turning brown and dry, then the plant also needs water. The same signs can also mean that the plant has been overwatered. Therefore, you should use this conjunction when checking the soil. If you have just watered the plant that day, give it time to absorb and use the water before you water again. You might assume that the water in your faucet is fine. But you could be wrong in this. City water often has too much fluoride and chlorine that some plants cannot handle. Moreover, soft water may have so much salt, while tap water has so much alkaline. If you are using certain water for a while and it does not seem to keep your plants healthy, then you better switch. You can store container outside that can catch rainwater and this can benefit your plants. This is because plants love natural water, which comes from the rain. However, if you live in areas that have acid rain water, then this will not work. Melted snow is also a great option to naturally water your plants. Bottled water should be fine, but this might be too costly. When it comes to using city water, fill an open container and let the water to sit for a day. This is to allow chemicals to evaporate before you pour the water into your plants. After every watering, refill the watering container. Let it sit until the next time you water again. By watering indoor plants this way, the water will have time to warm up into a standard temperature. This is better than using water with the same temperature that it would be coming from the rainwater or tap. Most plants would prefer a trepid water instead of cold water. You would be better off providing your plants with less water since you can always add more as you go. When you end up overwatering plants, there will be a lot of work to do to fix it. So keep track of the amount of water that you pour so you will know how much is right for your plant. Some plants will also benefit from misting the leaves because watering will mainly affect its roots. Some of the leaves will actually not benefit from misting. The key is to get to know your plants well. Overwatering is often the reason why plants die. Therefore, you should choose the right pots to grow your plants. One of the indoor plant watering devices that you should invest in are those pots that come with holes at the bottom. Pots with solid bottom can cause water to pool and the roots can get rotten when soaked for too long. If pots that do not have drainage holes are your only option, then consider placing a layer of stones at the bottom. The extra water can pool on the stones instead of getting into direct contact with the roots. The stone layer must also be an inch deep or more. It is also important that you choose the pot that’s appropriate for the size of the plants. Plants must be matched to the correct container so water will be evenly distributed. Plants grown in very small containers can get root bound, or that the roots will take up the entire space. On the other hand, growing plants in very big containers may not be able to hold water in the soil well and will therefore dry out easily. Placing a drainage pan under the pot is one of the best ways to water indoor plants without making a mess. Since your pots need to drain off excess water, you must keep the water from going into your floors indoor. 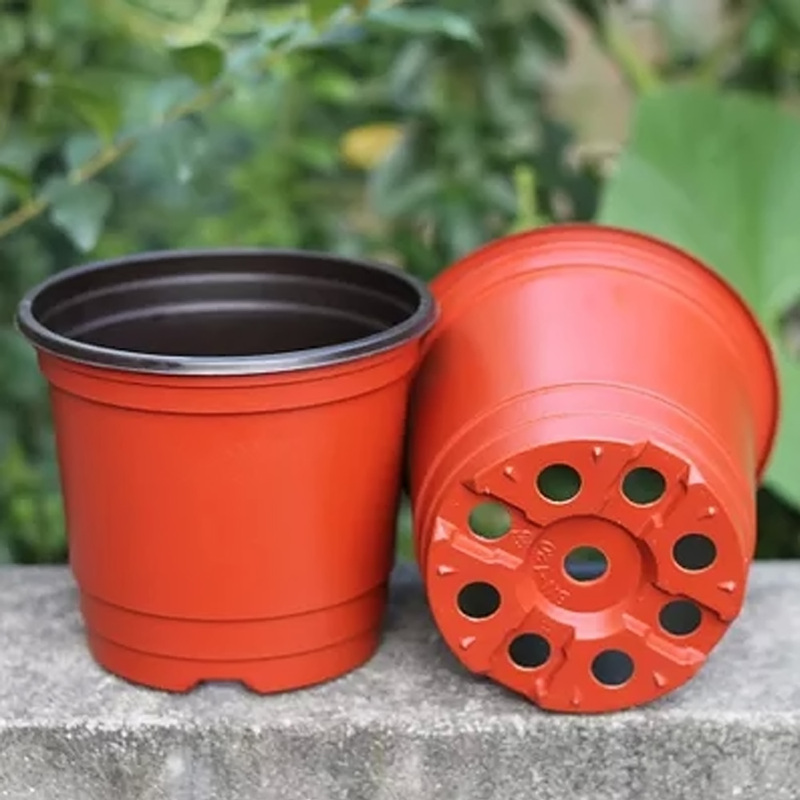 You can purchase pots that already come with drainage pan. Or you can improvise by using a saucer or a plate. You can also cut a two-liter bottle if the pot is just small enough. But this is only for those who are not overly concerned of the appearance of the plant. Hopefully, these steps on how to water indoor plants could inspire you to grow your own household plant indoors. Remember that the life of your plant will depend on how well you care for it.